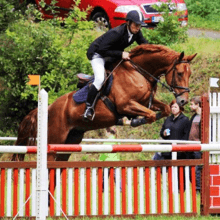 We offer show jumping horses in variety of performance, age and level of training. We are a horse stable run by a group of professional riders. We specialise in show jumping horses and their training, however we are also experienced in other disciplines such as dressage. We work hard to train our horses to the best they can be. 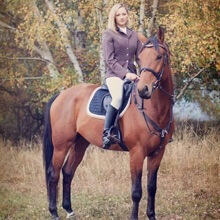 Of course, other than being passionate for horse riding and competitions, we also make a living with selling our top-performing horses as well as hobby-class horses. See the current offer and get in touch if you are interested. 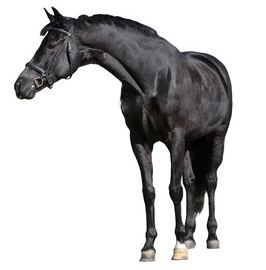 We work with top-pedigree horses as well as medium grade pedigrees. 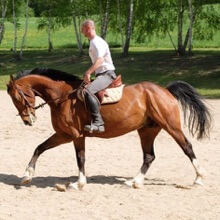 Being in the Czech Republic where costs are relatively low, we can offer better prices for the same-level horses than other European countries such as Germany, Italy or the UK. We are able to arrange transport to almost anywhere in the world using either our own vehicles or contractual partners. The general price for around Europe is 25 CZK (€1) per kilometre (land transport, two horses possible at once). For exact prices, longer trips or more horses at once please contact us. Most of our current horses are listed on this website, however we often have newcomers or make sales, so please do get in touch even if our current offer doesn't exactly match what you are looking for. We are affiliated with several other stables so we can usually find suitable horses for majority of possible requirements. We are located near the city of Písek in the Czech Republic. If you are coming via plane, it is about an hour car ride from Prague international airport. Let us know if you plan to visit us, we can help you to get here and prepare horses to show you according to your requirements.